…bribe them with baked goods. As I’ve mentioned before I was lucky enough not to be the one doing the cooking on New Year’s eve and I knew our friends would be more than prepared with enough food to feed a small army but I didnt want to turn up completely empty handed so besides the artillery of cocktail making ingredients I packed my bag with, I decided to make these Grissini (bread sticks to you and me) as a pre-dinner offering to our hosts. I think they went down well although I made short work of quite a few myself. 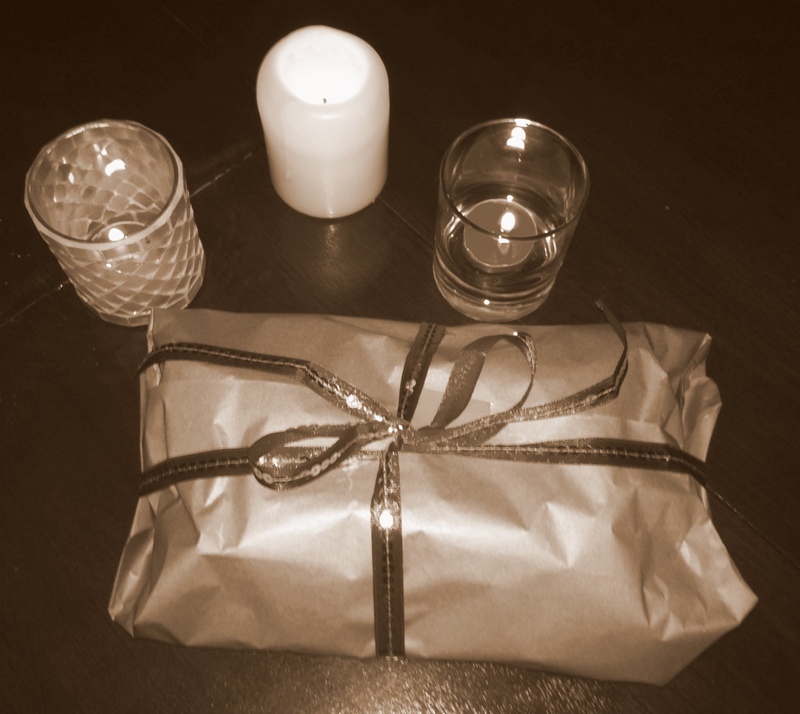 I wrapped them up as a little brown paper parcel, which not only makes them into a proper present but also saves you trying to remember which houses you have left all your tupperwares at. I had piles of rosemary left over from Christmas so I made a batch rolled in rosemary and sea salt as well as a plain parmesan batch for the breadstick purists but I had seen a basic recipe whilst paging through my Italian cookery book (The Italian Cookery Course by Katie Caldesi) which suggested wrapping the baked sticks in strips of parma ham to serve and I wondered what they would be like if I used pancetta instead and twisted it round the dough before baking. Addictive is the answer. Careful rationing and threats of grievous bodily harm were the only way to make sure there were enough left to make a worthy gift by the time they made it to the safety of a sealed parcel. You might think why bother going to all this hassle when you can buy perfectly good bread sticks in the shops. Well that’s true but making these is the adult version of being let loose with a glue stick and some glitter when you were little. I might be alone in this but I could quite happily spend hours in my kitchen with the radio on in the background – cutting long strips of dough and rolling, twisting and sprinkling them with different toppings then repeating over and over again. And as long as you prepare your chosen flavourings and have them ready on plates so that you can dunk, place straight onto a baking sheet and repeat, then this doesn’t take nearly that long. Sadly. I ran out of dough long before I got bored and I was left contemplating whether to make another batch and keep going until I ran out of parmesan or kitchen surfaces. I always think if something looks delicious before its been cooked then you’re probably on to a winner and I think these look so pretty laid out ready to be put into the oven. Which is a good thing really as you may have noticed that besides the wrapped parcel, there are pictures of the finished article. By the time I wrapped them up I realised I had forgotten to take any post-oven snaps and although I contemplated unwrapping them, the sun had set by that point so there was no decent light left to take a picture I would dare to post. Besides if I had risked opening up the parcel then they really wouldn’t have made it as far as the party. Adapted from a recipe from The Italian Cookery Course by Katie Caldesi. 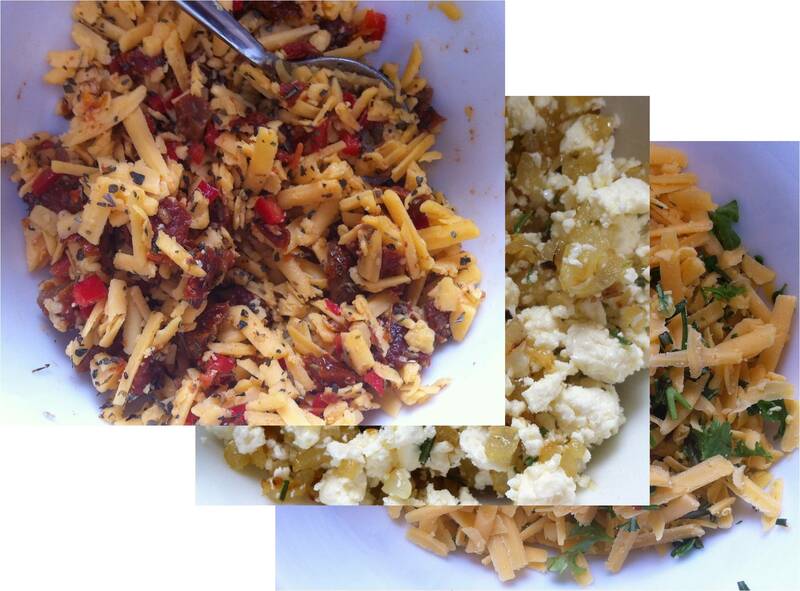 You can adjust quantities or add other ingredients depending on how many you want to make of each. Preheat the oven to 150°C. Prepare your toppings by combining the rosemary and sea salt on one plate, parmesan on another and cutting the pancetta in half length ways to make thinner strips. Mix the yeast with the tepid milk. Blend the flour, salt and parmesan in another bowl and then add the butter and blend, followed by the yeasted milk. Bring the dough together using your hands to ensure everything is evenly incorporated. Turn out onto a floured surface and roll out to about 5mm thick. The width should be just less than the width of your baking sheet as they stretch a bit as you pick them and transfer them. Cut into thin strips about 1cm wide. 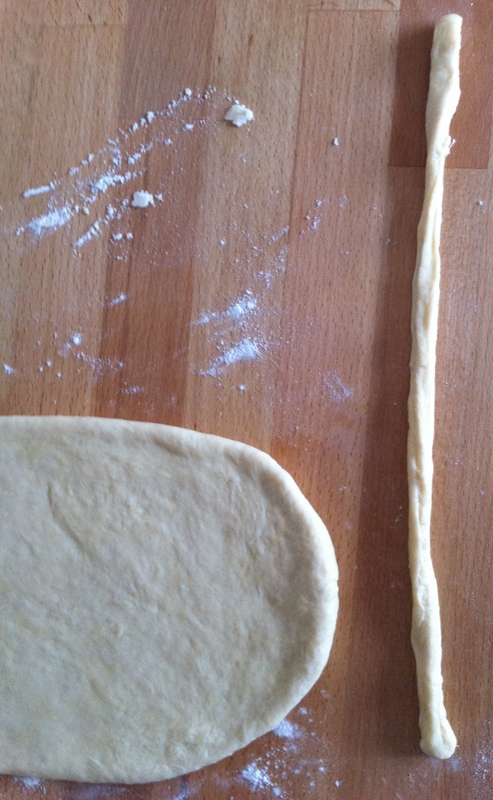 If you are making plain grissini then put them straight onto a greased baking sheet. 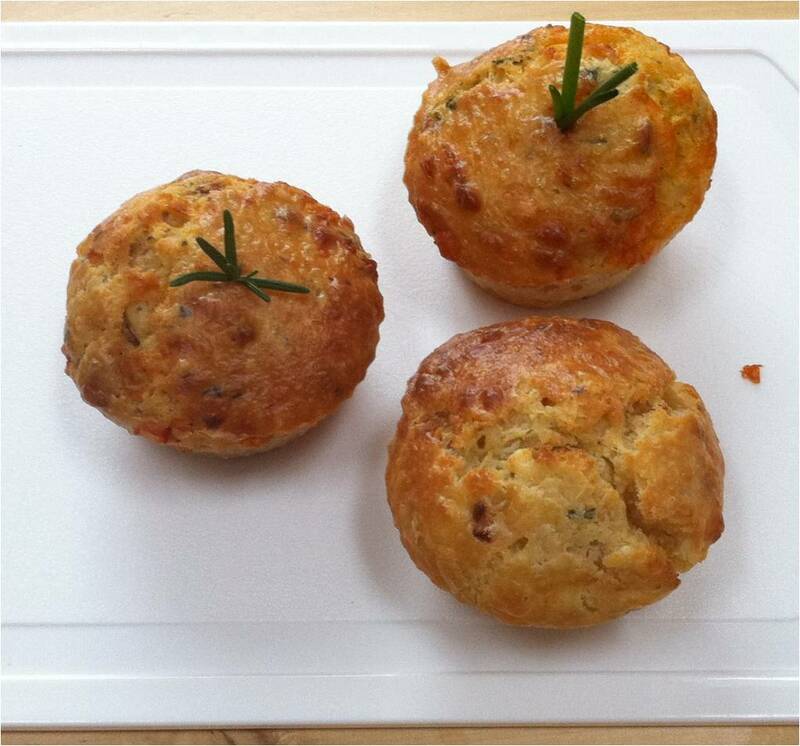 Otherwise roll the dough in the rosemary or parmesan mix and then place carefully on to the baking sheet. For the parmesan ones you may need to sprinkle a bit extra after they are on the sheet as it doesn’t stick as well. 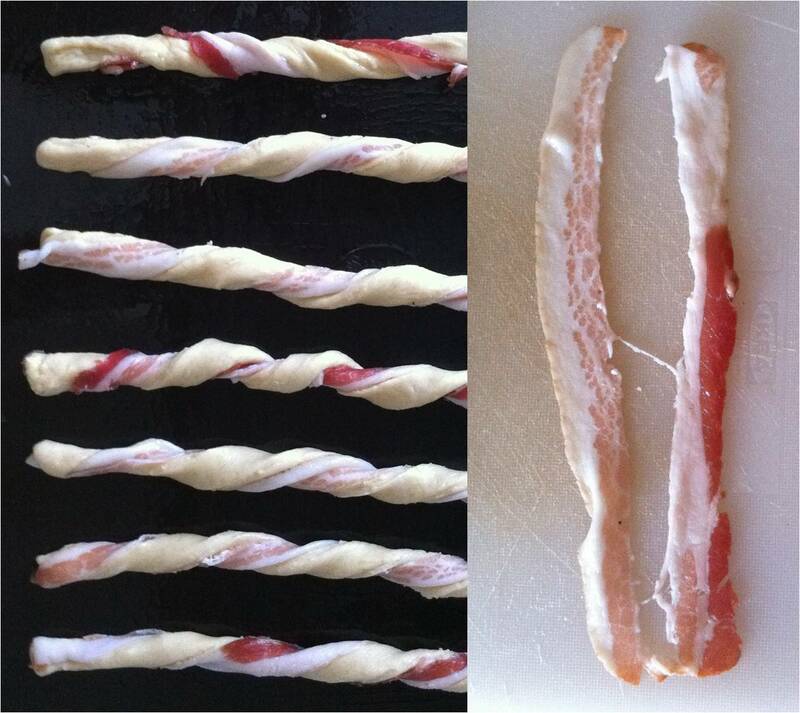 For the pancetta ones, lay a strip along the length of the dough and then twist the ends in opposite directions. You can also roll these ones in the parmesan if you like. When you have two trays ready, place them in the oven and bake for 25-30minutes until golden and crispy. Leave to cool on a wire rack while you bake the other batches and then store in an air tight container.